We’re all happy that Bake Off is back on the TV and for the third year running, we’re baking along with some other lovely bloggers. We decided to make a regional biscuit and after some Googling, we came across a recipe for Grantham Gingerbread. It was biscuit week on the GBBO and KayCee made Grantham Gingerbread for our first bake along. We live in Lincoln and wanted to make a biscuit that was first made in Lincolnshire. 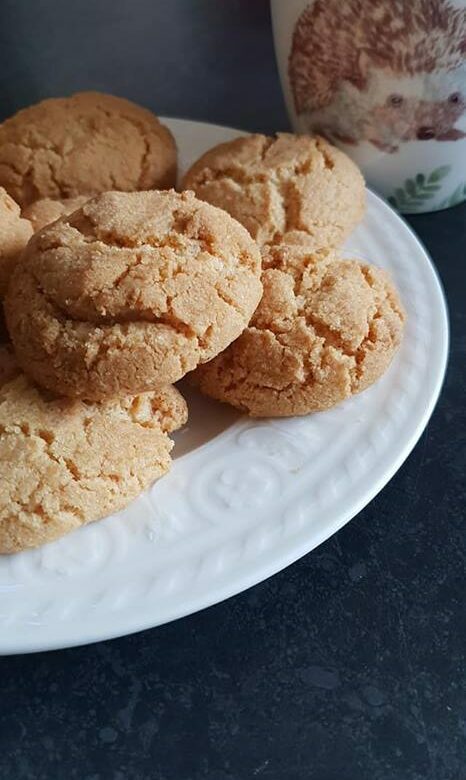 The Grantham gingerbread recipe is said to be the oldest biscuit recipe in the country, first made as a mistake by William Eggleston in 1740. It is said that he was supposed to making Grantham Whetstones, a hard flat biscuit that was the earliest form of biscuit made for sale, but he mixed up the ingredients and the Grantham Gingerbread was born. Heat the oven 150°C and grease 3-4 baking trays. Cream the butter and sugar until soft then beat in the egg. Sieve the flour with the ginger then add to the butter mixture and mix well, forming into a dough. Turn the dough on to a lightly floured surface. Knead and form into walnut sized balls. Place them on the baking sheet, spaced well apart. Bake in the oven for 20-30 minutes until the biscuits are puffed up and lightly brown. Remove from the oven and transfer to a wire rack to allow them to cool. They look like lovely little biscuits and the way they came about in the past definitely sounds like a lucky mistake! These look fantastic and I bet they also taste great. Who knew that gingerbread biscuits came from Grantham. They look lovely. Wow, that’s a lot of sugar, more than flour. I love the way they look, but for me that would be way to sweet.